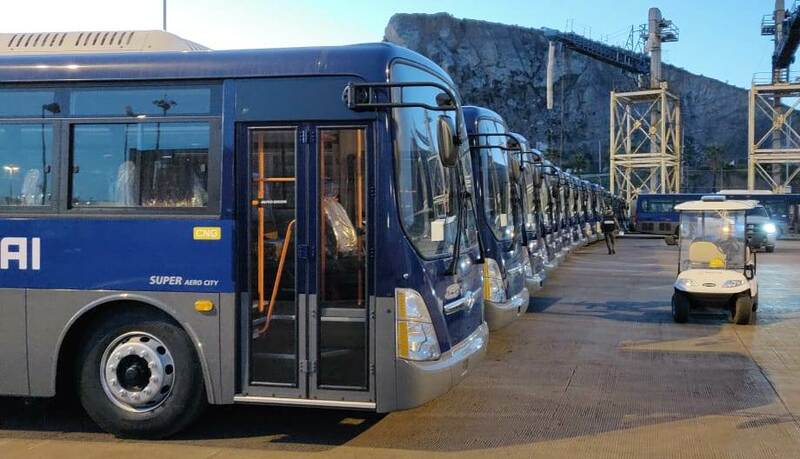 The 120 CNG buses that arrived at the port located in the state of Baja California will be used to transport personnel from Translead (Hyundai plant in Tijuana) and, comparatively with the vehicles that use diesel, their fuel consumption will be 40% lower . On February 6, the NGVs arrived from South Korea in the Asian Glory Ro-Ro vessel and, on February 8, the unloading operations were performed. Now the buses are in the testing phase with the service department and the respective training will be carried out for its correct operation. Natural gas for vehicles is gaining momentum in more and more Mexican states and will be one of the key topics at AltFuels Mexico 2019, taking place on 11-14 March at the World Trade Center in Mexico City. The event will feature first level conferences and exhibition led by national and international experts and companies that will share their experiences and knowledge with visitors and showcase the latest in alternative fuel technologies. For more information, please contact info@altfuelsmexico.com.